Poze Luxury Hair Care - For healthy and amazing hair! 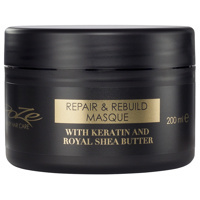 Poze Luxury Hair Care is an exclusive range of high quality hair products. Developed by a team of experts in collaboration with one of Sweden's best hair care factories. Poze Luxury Hair Care is a collection of hair products that are developed to all types of hair extensions where we can guarantee that the hair products are compatible with your hair extension without affecting its quality. Thanks to our hair care products, we can exclude problems caused by ingredients in other hair products that can damage or affect the quality of your hair extensions. There are incredibly many products on the market and it is completely impossible for us to know what ingredients the products contains and how they work together with hair extension. Order Poze Luxury Hair Care and experience the feeling of luxury and quality that gives a fresh and healthy hair. Hair Extensions is the international name for all types of Hair Extensions and includes all products. In our product range you will find the most popular Clip & Go / Clip On Extensions, Tape Hair Extensions, Hair Weft, Keratin Extensions and Magic Tip. We have developed products to offer you what suits your hair and fulfill your wishes. Poze Hair Extensions are available in all colors, shades and lengths with a superior quality. Our products have helped women around the world to fulfill the dream of a longer and fuller hair, let us help you with that dream!